Every once in a while, you’ll see news reports about coin collectors or their heirs who have sold lovingly-assembled coin collections for far more than it cost to put them together. Could that be you (or your heirs) some day? Virgil M. Brand, a Chicago beer magnate, put together a 350,000-piece coin collection before his death in 1926. When a small piece of the collection that was owned by Brand’s niece was sold in the 1980s, it brought almost $10 million. Bowers estimates that those coins had cost Brand less than $100,000. Louis Eliasberg, a Baltimore banker, assembled a complete collection of United States coins in the early 1950s. Bowers & Ruddy Galleries auctioned just the gold coins in 1982 for more than $11 million. The remaining coins, sold in 1996 and 1997, brought in $32 million. Bowers estimates that Eliasberg paid less than $1 million for his collection. Incidentally, Bowers told me that despite his giving countless interviews and writing multiple books about the collections above, the cost estimates were never made by him before because nobody else other than me asked for them. So Bottom Line readers are the first to have this information. 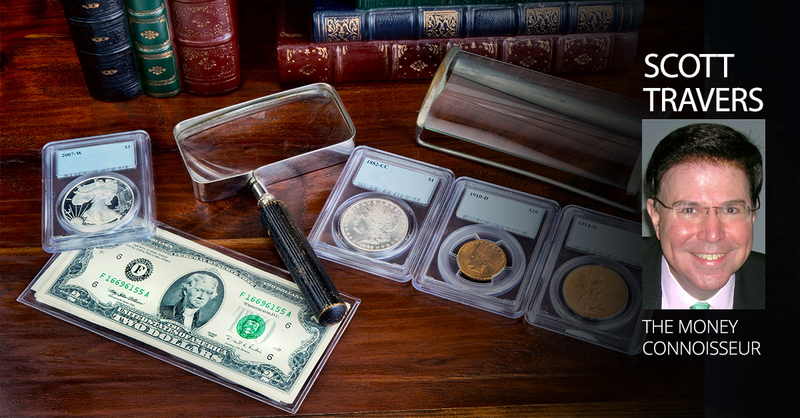 Pure collectors buy coins for their artistic, cultural and historic significance. If a coin purchased by a collector increases in value, the chances are slim that it will be sold any time soon, as that coin is needed to help complete a collection. Coin collecting has a project mentality. And coin collectors usually set goals to acquire complete sets of coins, often one coin at a time. For example, a complete set of Wheat Stalk Lincoln cents runs from 1909, the first year of issue, to 1958, the last year the Lincoln cent with wheat stalks on the reverse was issued. The thrill is in the hunt, and many collectors that I have helped to assemble sets of grand, over-the-top coins have sold their sets after spending years assembling them—but only after those sets were complete. It is so natural for collectors to want to complete a set of coins that generations of collectors have purchased the familiar blue Whitman coin folders and albums with spaces for each coin to help them put together coin sets from circulation. When the US Mint 50 States Quarters continuity program was active from 1999 through 2008, the Mint announced that 140 million Americans were collecting coins. Beginning in 1999, the Mint issued 25-cent pieces with reverses that commemorate states in the order of their admission to the union. The registry concept has made it so compelling to achieve a high rank among fellow collectors that some individual modern coins that are common, but not easily available with high certified grades, have sold for tens of thousands of dollars apiece. This trend started some years back when a 1963 Lincoln cent that received a “perfect” grade of Proof-70 on the 1 through 70 grading scale sold at auction for $39,100. 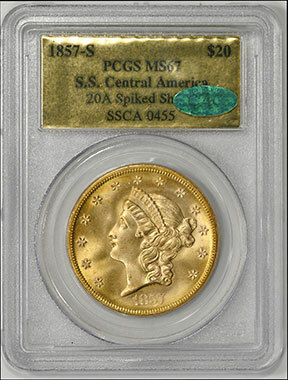 The sale was newsworthy not just because the coin would have been worth only $5—yes, only $5—as a very-nearly-perfect Proof-69, but also because when the coin was sold for $39,100 sometime after receiving its perfect grade, it had developed unsightly spots, was clearly no longer perfect, and yet sold as if it were perfect simply because its now-undeserved grade would allow its buyer to claim the number-one position among all Lincoln Memorial cent registry sets. In the coin collecting world, we call what the buyer of this cent did “buying the holder”—meaning he paid that much because of what the certified coin holder said on it, not because of the actual state of the coin. The grading service PCGS, wanting to do away with this discrepancy, later bought the coin at auction in order to take it off the market. Modern coins collected for their perfect grades can be very risky indeed. The market is thin (few collectors), and one or two people losing interest can cause prices to plummet from lack of demand. Also, there’s always the chance that grading services will grade additional specimens of the same coin a perfect 70, increasing supply and, therefore, decreasing value. A 1989 American Eagle 1-ounce silver bullion coin graded Mint State-70 by PCGS carried a steep $22,000 value in 2016. Today, in 2018, just two years later, PCGS values it at $1,500. As collectors become more educated about what they are collecting, it becomes natural for them to track the precise value of what they are negotiating to purchase. The nature of a collector is to buy the best affordable or available specimen for the set being assembled, and then later to buy a higher-quality example as finances or availability permit. Consequently, collectors rarely speculate or purchase large quantities of any one coin, as they need only one of each to complete their sets. Pure investors buy coins for their profit potential. If this kind of investor buys a coin or a group of coins that increase in value, it’s very likely that he or she will go to the cash window and celebrate, as the investor will not think twice about selling if he or she judges the time is right financially. It sounds counterintuitive, but investors often make less money than collectors because many investors follow fads, buy large quantities of the same coin, are less knowledgeable about grading and values and are not patient about holding their coins. There are actually not a lot of people in the coin market now who are active only as investors. Demand for physical gold and silver bullion coins is flat. The US Mint, in fact, is producing fewer American Eagle gold and silver bullion coins because of the low demand. Many investors bought large quantities of high-grade modern coins from TV shopping networks or telemarketers that charged large mark-ups. When these investors try to sell their coins, they are disappointed to learn that their investments are not worth nearly what they had hoped. Pictured below is a highly desirable vintage 1857 Liberty Head double eagle gold piece manufactured at the San Francisco Mint that comes from the wreck of the S.S. Central America, a gold transport ship that sank off the coast of the Carolinas in 1857 and wasn’t found until 1988. Part of that sunken treasure hoard, this coin is graded Mint State-67 by PCGS—and you can also see with it the CAC green hologram. But collecting and investing are not mutually exclusive. As I explained earlier, collecting and investing exist on a spectrum—and these days, more and more coin buyers can be categorized as a hybrid between collector and investor. A collector/investor, ideally, combines all the wisest attributes of both types of coin buyers. This person is a hybrid of collector and investor. Very few collector/investors would have bought that 1989 American Eagle 1-ounce bullion coin graded Mint State-70 for $22,000 in 2016. A collector/investor would have realized that the coin could easily have fallen in value by more than $20,000 and, to add to his set of such coins, would instead have bought a Mint State-69 copy for $41 (now valued by PCGS at $36). And by the way, I know very few professional graders who can consistently tell the difference between a Mint State-69 American Eagle 1-ounce silver bullion coin and a Mint State-70 American Eagle 1-ounce silver bullion coin. Collector/investors often use sound judgment and common sense in assembling their collections. For example, if a coin increases in value dramatically, even if the collector/investor is fascinated by its artistic significance and it is needed to complete a set, that coin will be sold. So, if you collect coins, don’t disregard the financial implications. Become an investor, too. And if you are already an investor in coins, it will benefit you to learn about the coins and everything they represent. Besides being potential money makers, coins are history in your hands.